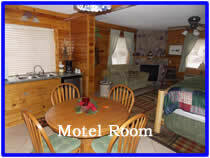 Seven Eagles Campground & Resort, memories and fun is what the Campground is all about. Seven Eagles Campground & Resort is located just south of Savanna, Illinois next to the Spring Lake Wildlife Refuge and The Great River Bike Path. During your stay at Seven Eagles Campground & Resort you will discover that there are many things to do for everyone. 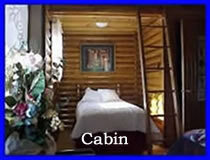 Most of all Seven Eagles Campground & Resort is very affordable and your stay will be first class. Seven Eagles Campground & Resort is the perfect place for your family to escape for the weekend, season, or anything in between. If you're just pulling your camper for the weekend, or wanting a seasonal RV site, or looking for a log cabin or a motel room , or touring the day on your motorcycle, Seven Eagles Campground & Resort is just the place for you. At Seven Eagles Campground & Resort you can take advantage of the in-ground pool, a large Club House, a Theater Room to watch your favorite sporting event or a movie. At the back of the campground are miles of nature trails on the Spring Lake Wild Life Refuge. The Great River Bike Path also runs just behind the campground where you can bicycle to Savanna or all the way to the Quad Cities on a paved trail. 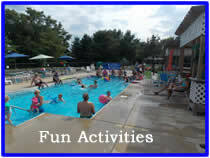 Seven Eagles Campground & Resort has many, many activities to offer for the whole family to enjoy. At Seven Eagles Campground & Resort our goal is for each and every guest to take back with them great memories that will last a lifetime.